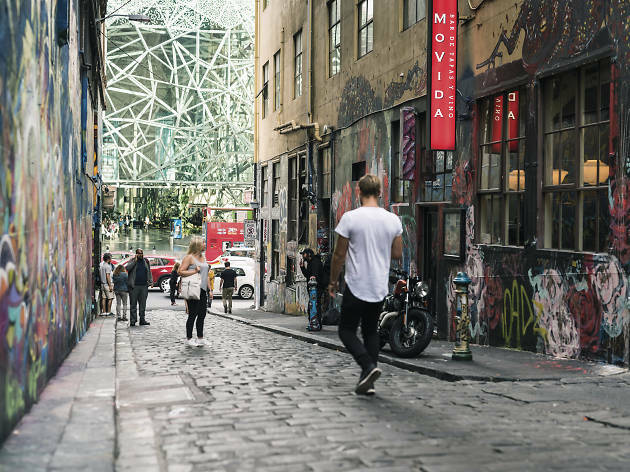 When you think of Melbourne, you think laneways. 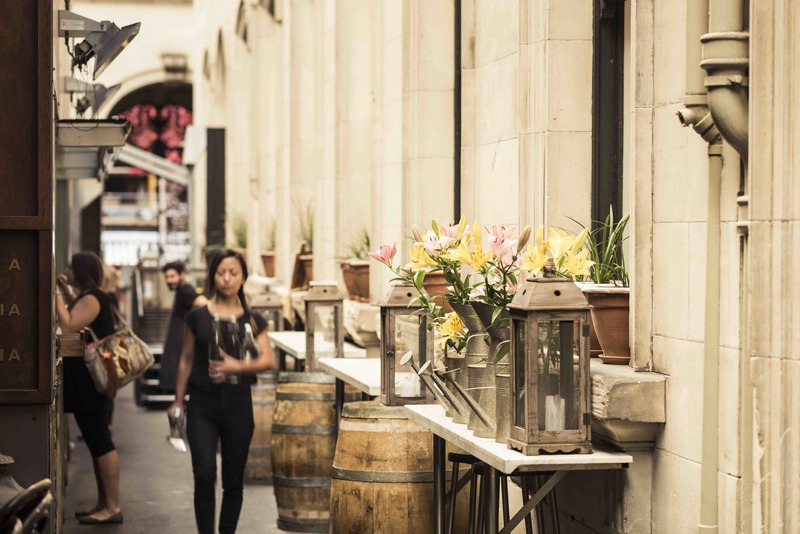 It’s hard not to – our city is practically overflowing with cobbled thoroughfares that poke out curiously from intersections, underpasses and gaps between buildings. But with over 40 laneways and arcades in Melbourne, how can you efficiently distinguish the good ones from the ones filled with garbage? Don’t worry, we’ve got you. 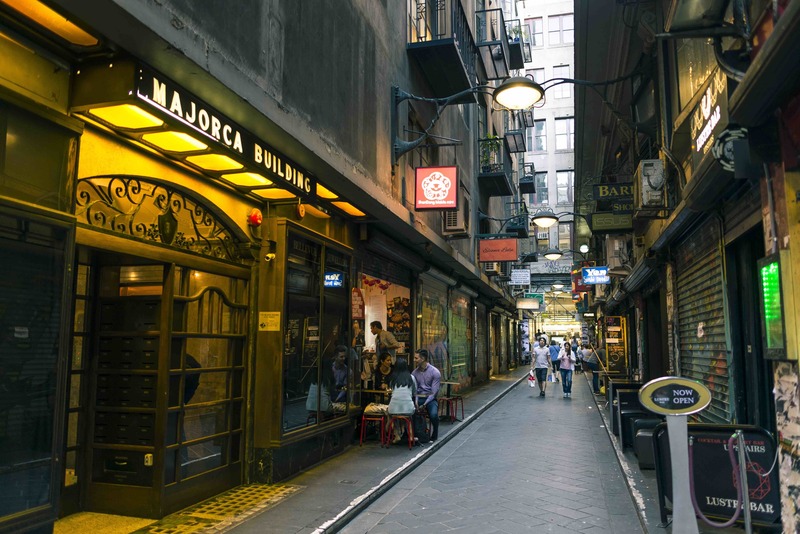 Consult this guide to the best laneways and arcades in Melbourne when you’re entertaining out-of-towners or simply if you want to revisit some old favourites. 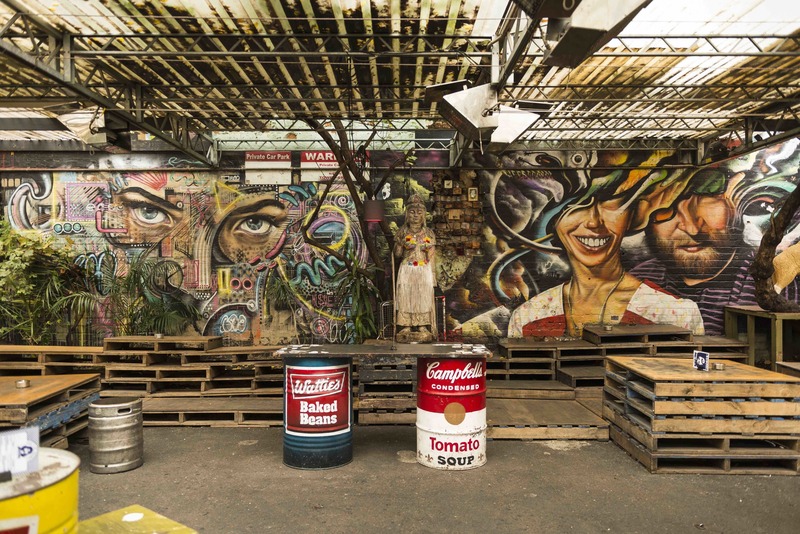 Get out there and poke your head around corners to find graffiti-laden lanes filled with one-off shops, high-end restaurants and a few dozen hidden bars. 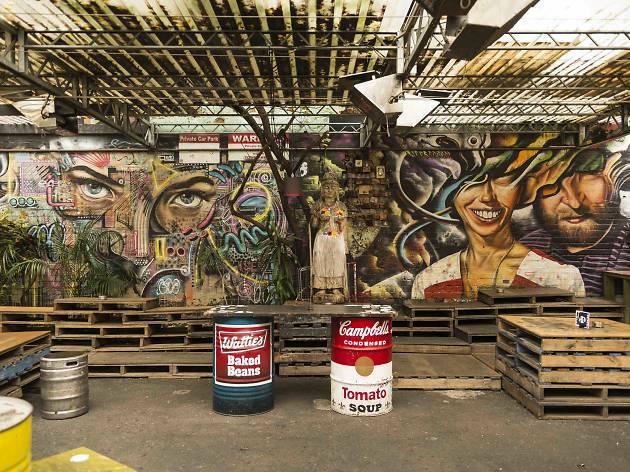 RECOMMENDED: Where to find the best street art in Melbourne. Hardware Lane feels like the light, leafy, European cousin to some of Melbourne’s grungier laneway haunts. There’s not a huge amount of room for pedestrians but that’s because restaurants spill out onto the laneway on both sides. 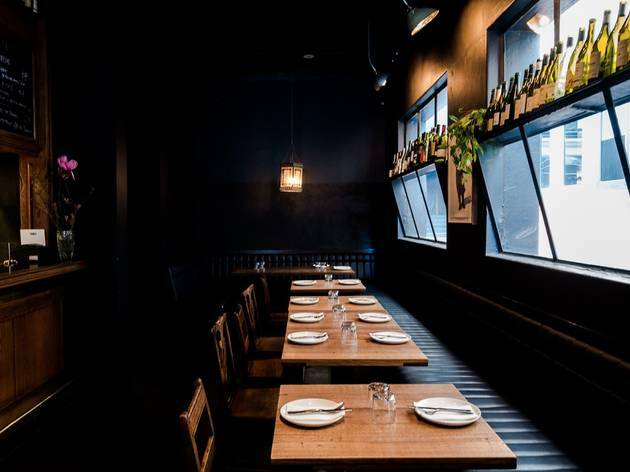 It’s the sort of place you head to for dinner and a drink on a summer’s afternoon – may we suggest the roasted cauliflower at Miznon or a cheeky vino at Kirk's Wine Bar? 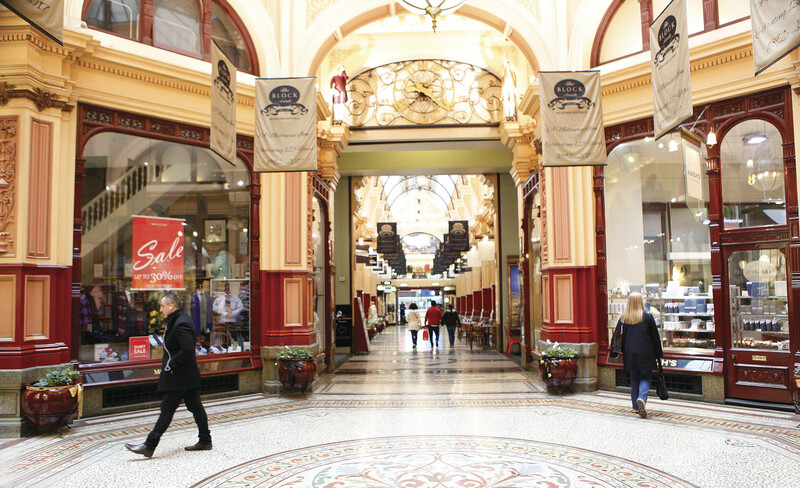 The most beautiful stretch of Melbourne retail real estate unquestionably belongs to the Block Arcade. 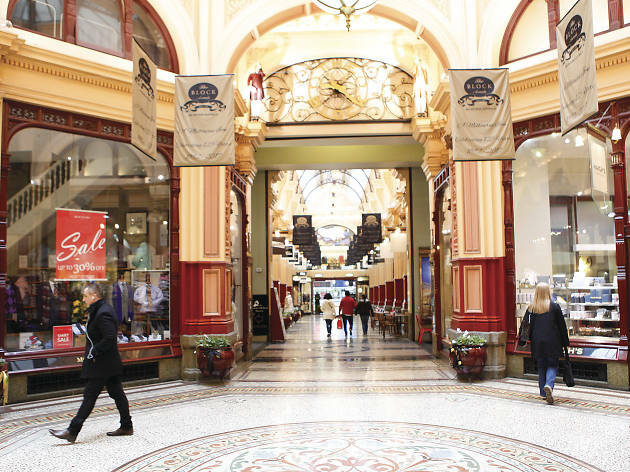 Opened in 1892, the grandiose arcade astonishes visitors with its ornate French Renaissance style architecture – think tall, sweeping arches, delicate cornices and a fancy pants decorative tiled floor. 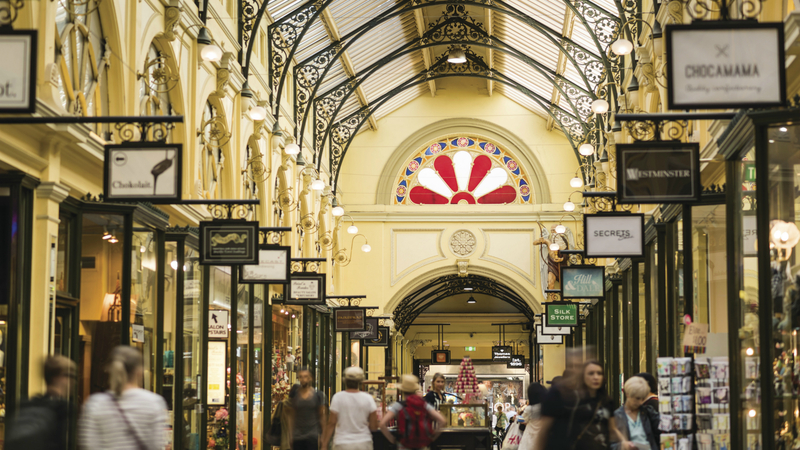 Enter off Collins Street and you'll be greeted by the queues outside Hopetoun Tea Rooms, or see shoppers flit through boutiques like Georg Jensen, Crabtree & Evelyn, the French Jewel Box, Card & Caboodle and the cocoa kings Haighs chocolatiers. 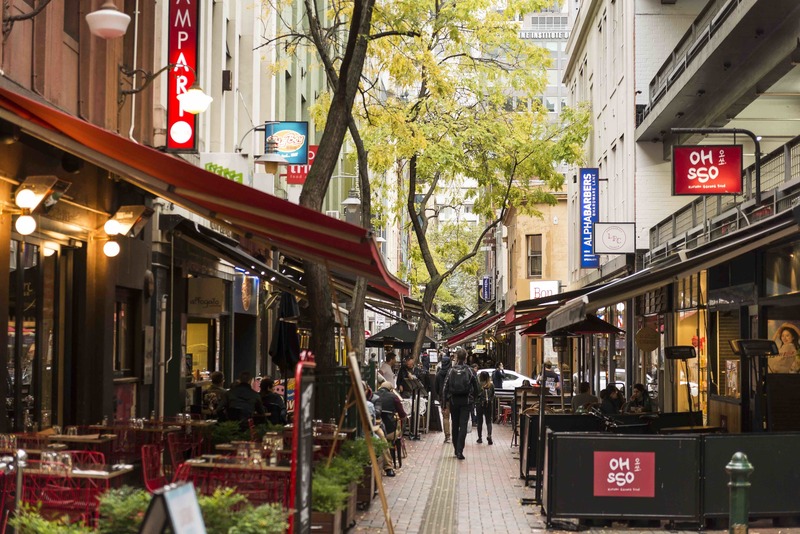 Otherwise known as “that laneway with all the hole-in-the-wall restaurants” and “Melbourne’s answer to Diagon Alley”, Centre Place is fantastic for food, shopping and street art. The magical little alleyway still has its blue cobblestone floor which contrasts with the cacophony of murals, tags and paste-ups on the walls. Grab a coffee and perch yourself on one of the tiny stools after browsing through the boutiques. 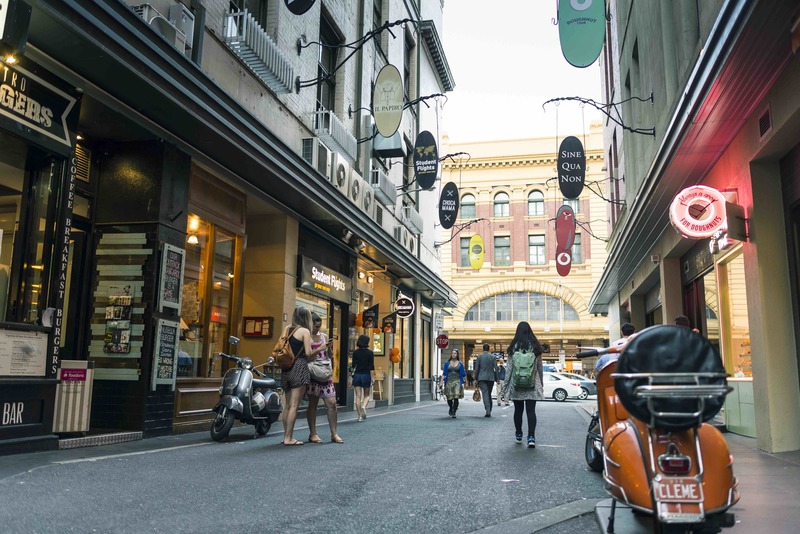 Connecting Flinders Lane and Flinders Street is Degraves Street, the slightly wider, slightly more Parisien extension of Centre Place. There’s less street art but more waffles (thanks to Waffle On) as well as cafés where you can get a glass of red as easily as a coffee. Degraves is also a great place to pick up a nifty gift (or something for yourself) with artisan stationery at Il Papiro and glamorous handmade jewellery at Sine Qua Non. 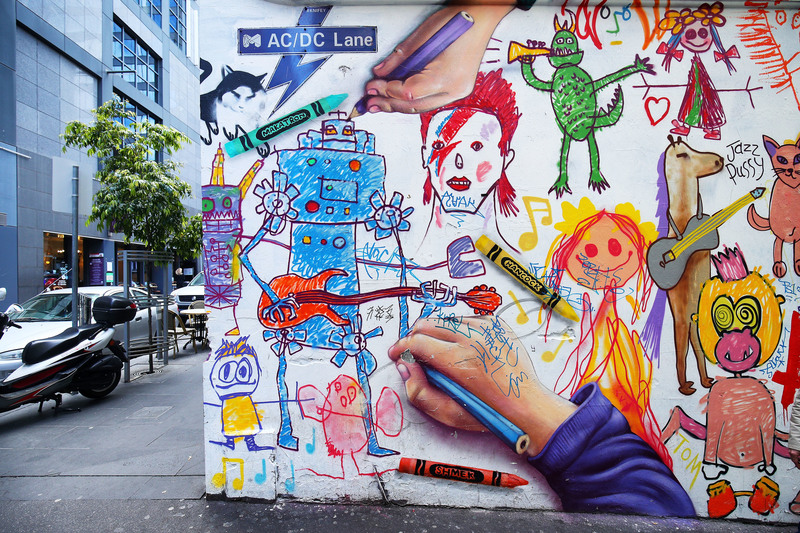 Melbourne might be awash with cute laneways but the one that’ll really leave you ‘thunderstruck’ is AC/DC Lane. 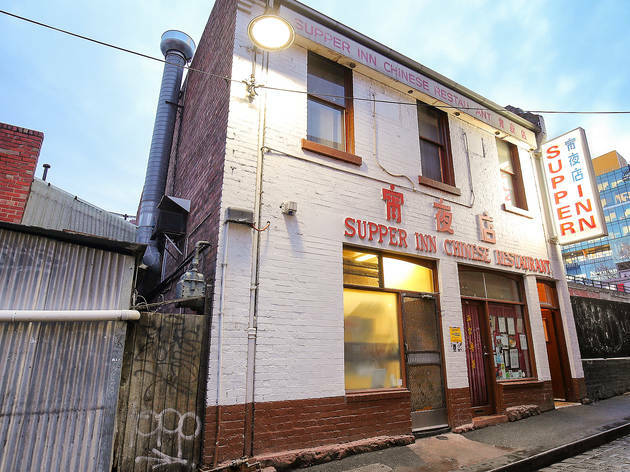 The wee laneway was named after Aussie rockers AC/DC in 2004 and it sits not far from where the band shot the film clip for their 1975 hit ‘It’s a Long Way to the Top’ (filmed on Swanston Street). It’s appropriate then that AC/DC lane should also be home to Melbourne’s most infamous rock ’n’ roll venue Cherry Bar. 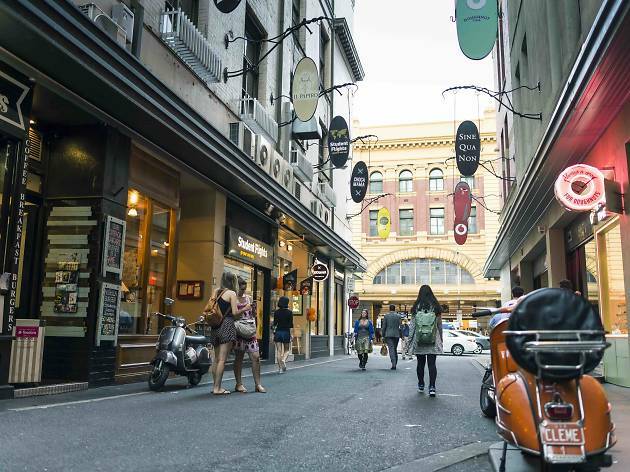 Sitting pretty on the corner of Flinders Lane and Swanston Street is the historic and heritage listed Cathedral Arcade that's located on the bottom floor of the famous Nicholas Building. Look up and you’ll see a leadlight archway that runs along the arcade, as well as a beautiful central dome that harks back to 1925. You might even recognise it from Courtney Barnett's 'Elevator Operator' video, which was filmed there in 2015. 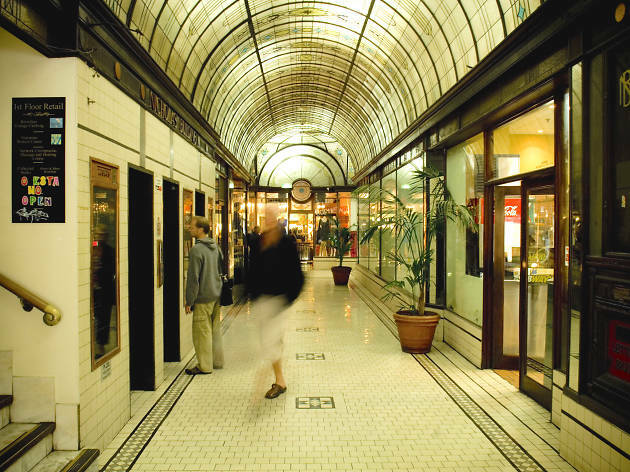 The just as glamorous older sister to Block Arcade, Royal Arcade is a high-ceilinged, checkerboard-floored shopping precinct wedged on the corner of Bourke and Elizabeth Streets. 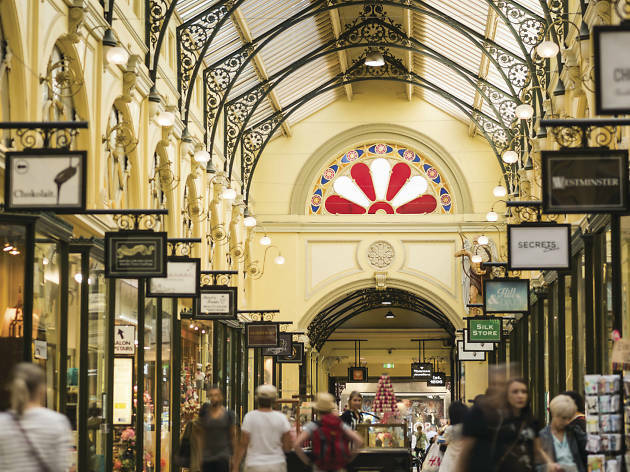 Constructed in 1870, the arcade takes the prize for being the oldest in Melbourne (and Australia) and it’s here you can pick up threads, vintage goods and seriously good chocolate from Koko Black. Before leaving, be sure to give its most famous residents a quick nod: Gog and Magog guard the Gaunt clock above the Little Collins Street entrance and punctually ring their bells to mark each hour. 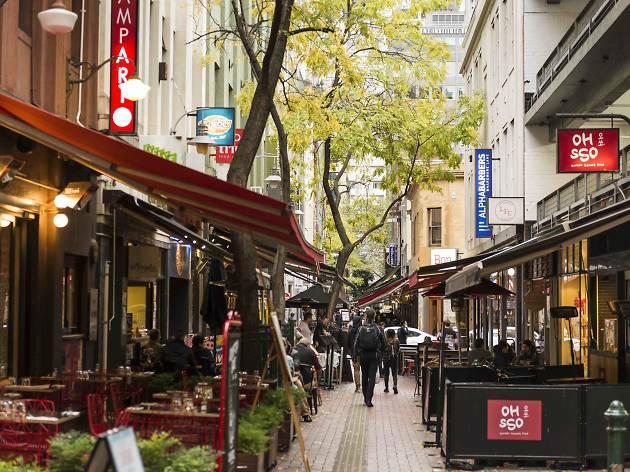 Like many laneways on this list, you really need to head down this CBD laneway to discover what it’s hiding. In Tattersalls Lane, it’s an all-you-can-eat Indian restaurant (Gaylords), a budget-friendly dumpling institution (Camy Shanghai Dumpling and Noodle Restaurant), a graffiti-covered shipping container bar (Section 8) and its equally cool sister venue up the stairs (Ferdydurke). One thing’s for sure: you’d be hard pressed to find a Melburninan who hasn’t spent a late night wandering down Tattersalls. 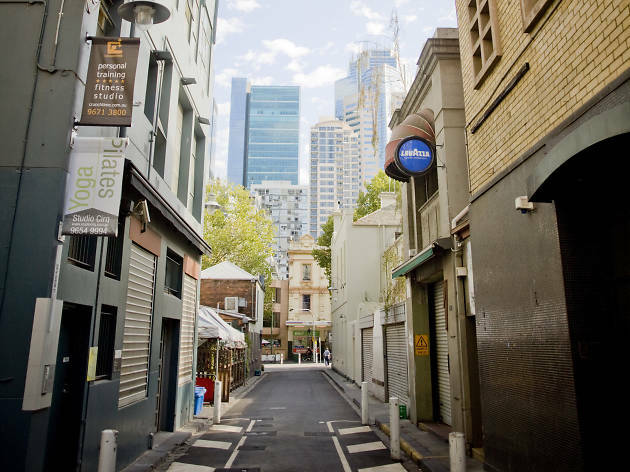 Originally known as Nicholas Lane, Meyers Place is one of the city’s oldest laneways, but it hasn’t lost any of its old school charm. Try San Telmo for some traditional Argentinian fare (which, yes, includes a lot of meat) or there’s Lily Blacks, an Art Deco cocktail bar which is a bit of fun. You can even score a bird’s eye view of Meyers Place when you saddle up to Loop Roof, the fun alfresco drinking deck that boasts foliage, '90s hip hop and botanical booze. 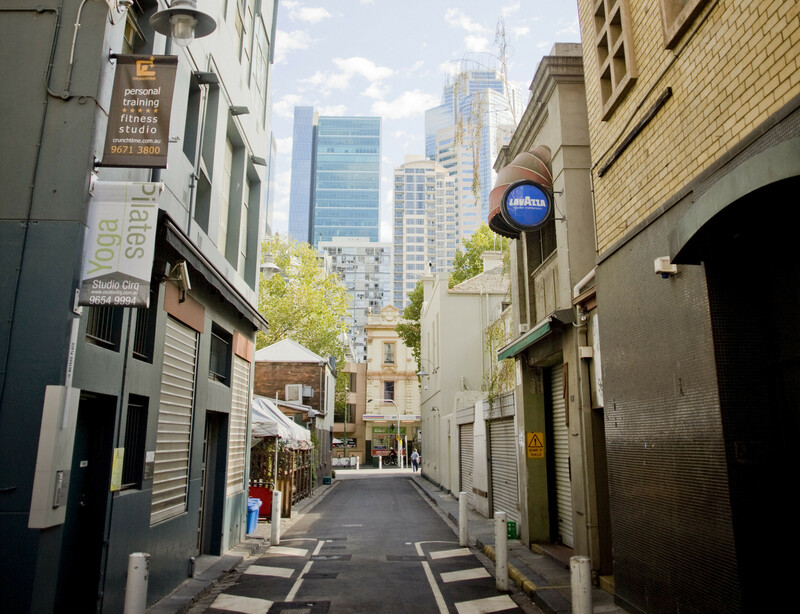 Melbourne Place isn’t your traditional straight-and-narrow laneway. 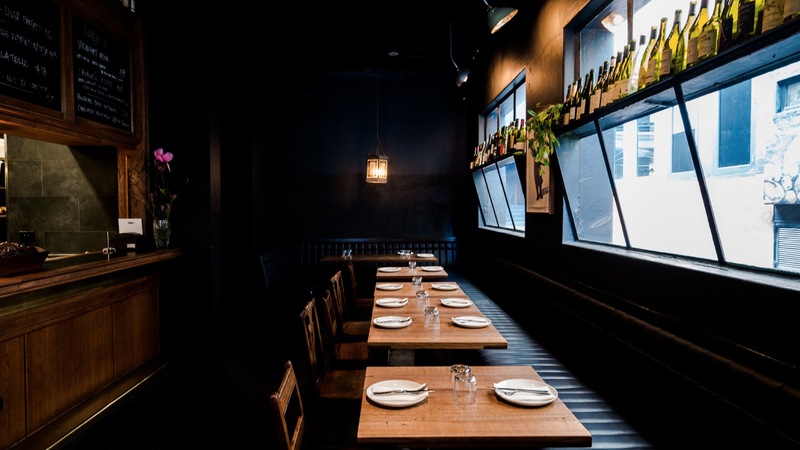 It actually wraps around in an arc, meaning you can take in wine bar Embla, the members-only Kelvin Club and delicious Armenian restaurant Sezar all in one easy swoop. Right in the middle there you’ll find Mitchells Adventure store, a theosophy bookstore and a 4D cinema. Arguably you could spend a whole day just in this small inner city quadrangle. While we’re still a little bitter that Melbourne’s historic GPO was taken over by a huge H&M store a few years back, one solace is that Postal Lane still stands. 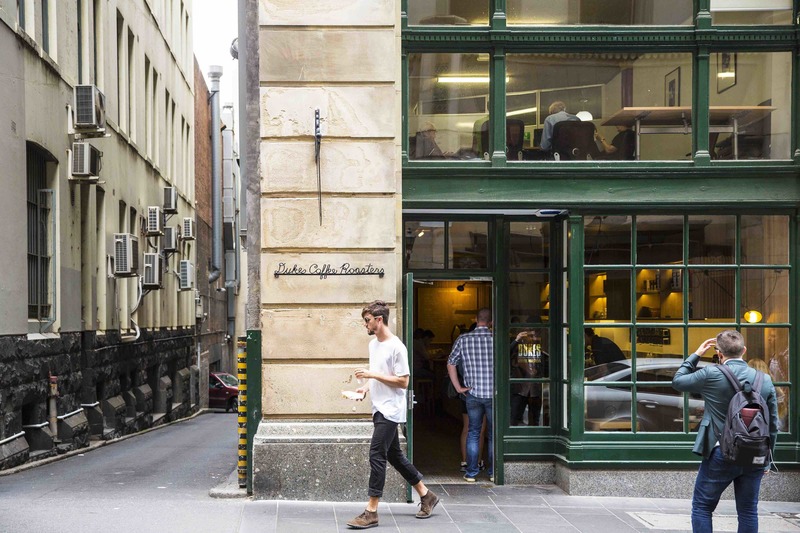 This blink-and-you’ll-miss-it laneway sandwiches itself between the GPO and Myer and can be accessed from both Bourke Street Mall and Little Bourke, opposite Driver Lane. Here you’ll find a selection of eateries that aren’t awash with raving shoppers; Mama’s Buoi do casual Vietnamese and Ca De Vin master share plates, cheesy Italian pizzas and pastas. 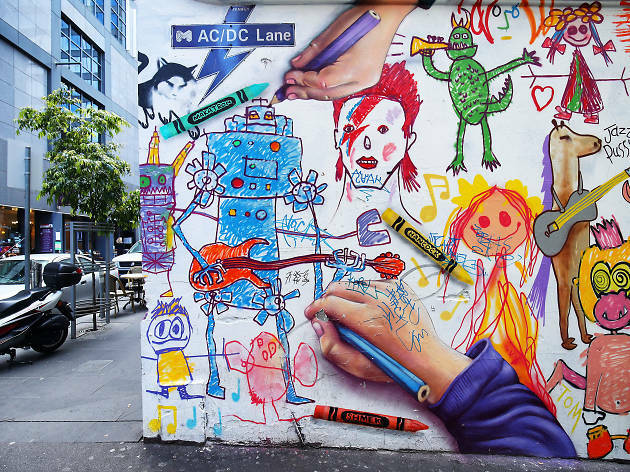 When people think of Melbourne street art they’re probably thinking of Hosier Lane. 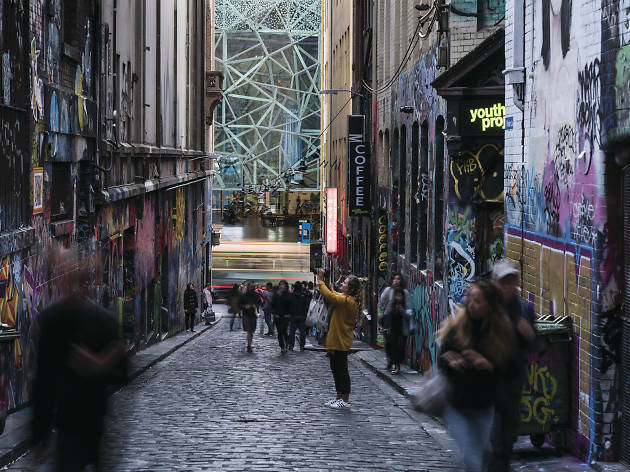 Located off Flinders Street this laneway’s like a gallery of evolving street art that's earned it a place in the guidebooks. 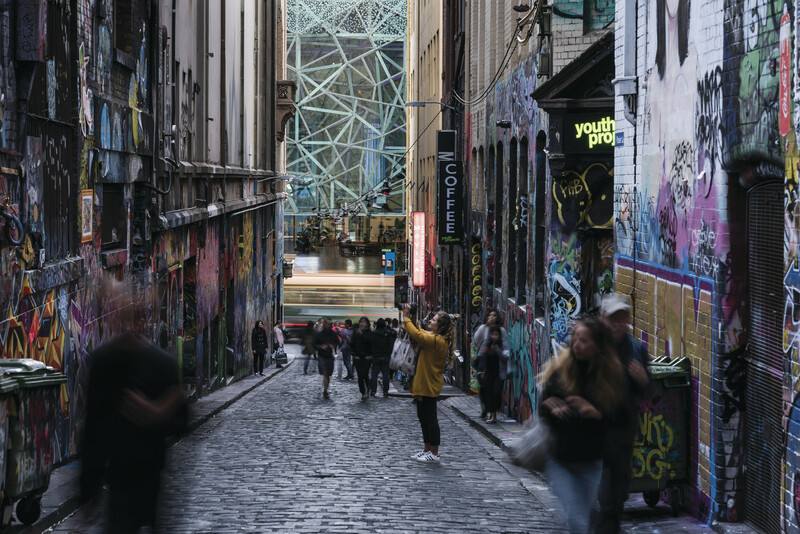 If you’re looking to take some ace pics, arrive early or expect to wait: Hosier Lane’s popularity means it’s often filled with tourists also wanting to get the perfect 'gram. Next door the historic Forum Theatre is just as picturesque, if slightly less ‘grunge chic’. 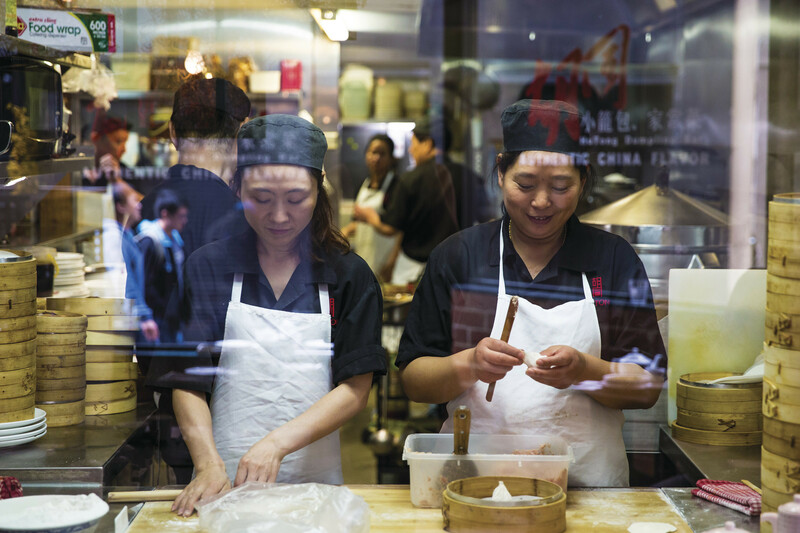 Market Lane provides a welcome entryway to Chinatown from Bourke Street. The cobblestone laneway is home to big name restaurants, including HuTong Dumpling House (order the soup dumplings, and if you can manage it, some steamed, gelatinous pork belly), Bavarian beer house Hofbräuhaus (don’t forget your lederhosen) and Flower Drum, a five-star high-end Cantonese restaurant that’s stood the test of time. 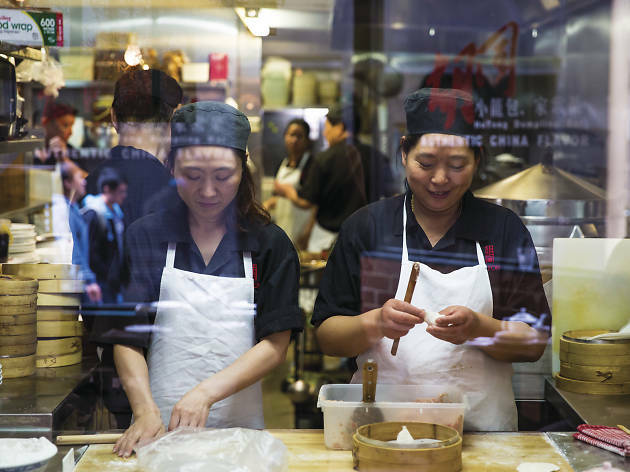 Despite its grandiose name, Celestial Avenue is on the smaller scale for laneways in Melbourne’s CBD, but its rich Chinese history is what makes it stand apart. This small, slightly darkened lane was actually an integral part of the arrival of Chinese immigrants in the mid-19th century, as it’s here where the first Chinese lodging houses were built. 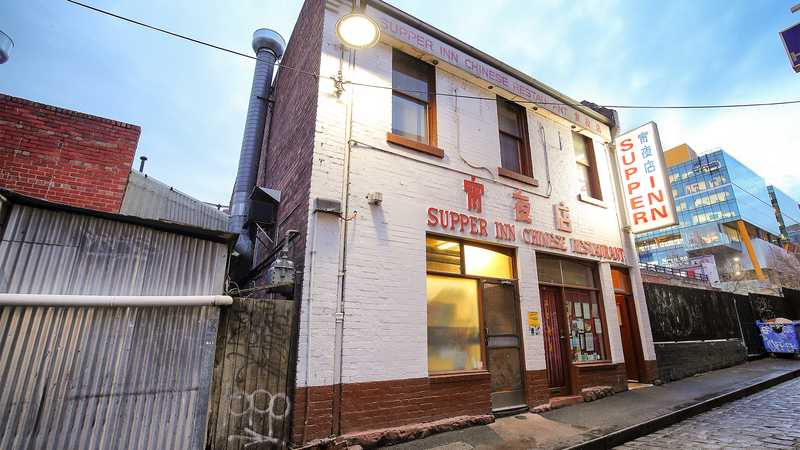 Chinese heritage lives on in the rather exceptional Cantonese restaurant, Supper Inn. 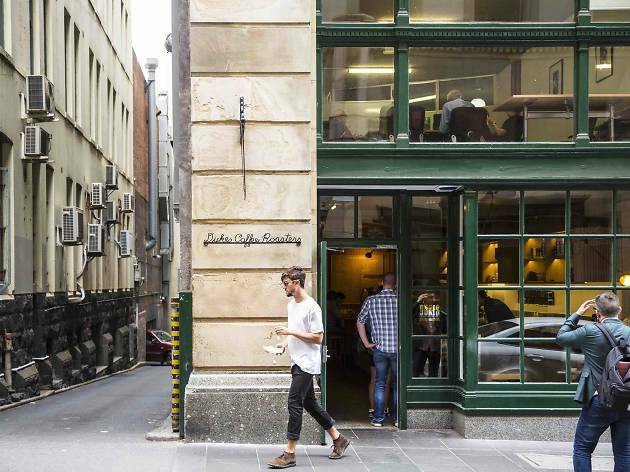 Alas, being called Flinders Lane doth not maketh a laneway. 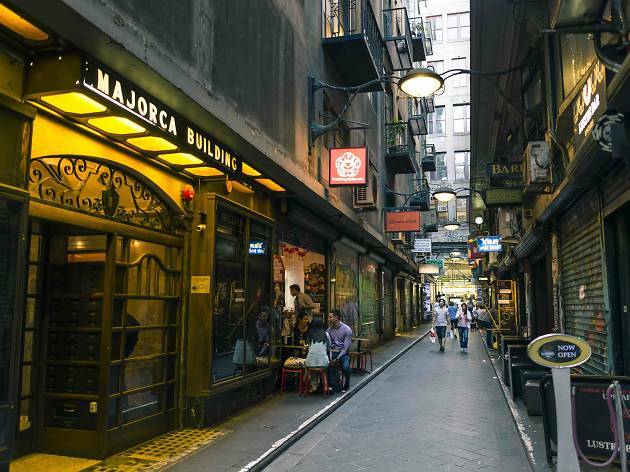 Maybe it used to qualify as a lane back in ye old times but these days Flinders Lane is most definitely a street. 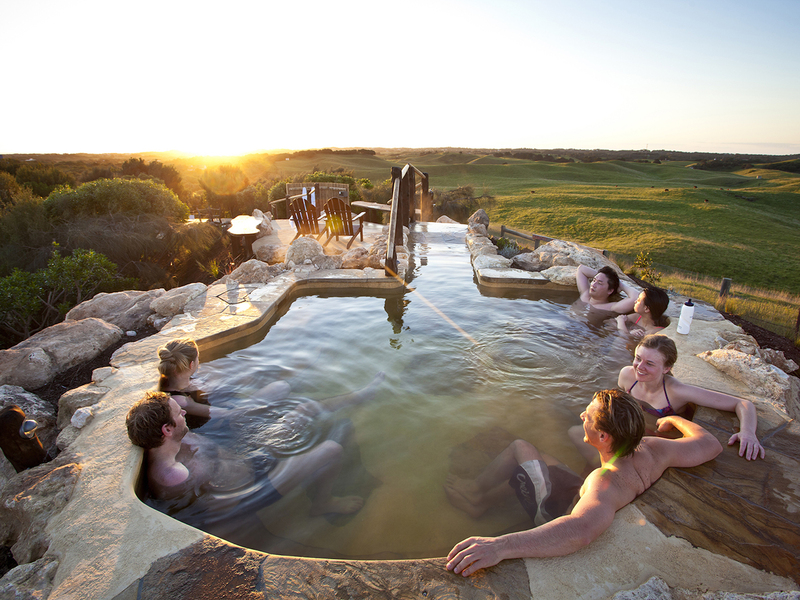 Still, it is still special enough to get a nod, considering it’s home to some of Melbourne's best restaurants. 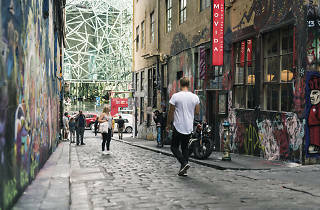 It's also conveniently central and connects two of Melbourne’s top laneways, Degraves Street and Centre Place. Just because they’re popular with visitors, doesn’t mean they’re lame. 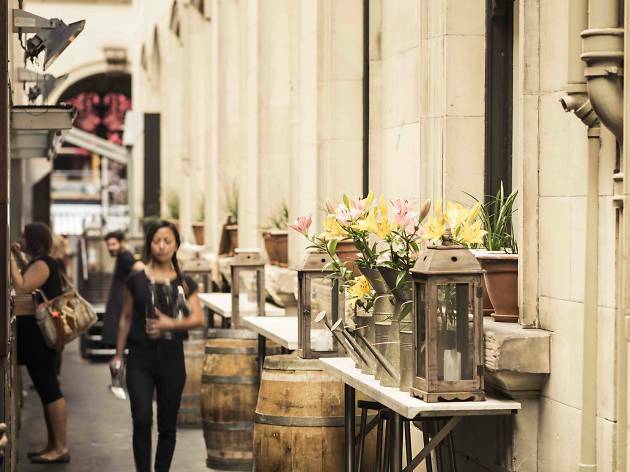 These Melbourne tourist attractions are famous for a reason, so stop putting off your visit and find out what all the fuss is about.